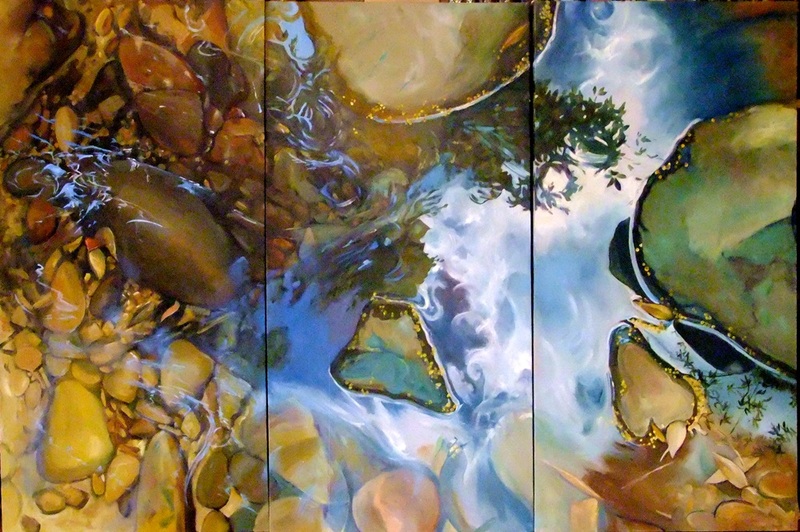 3 Panels – 92 x 45 cms each – oil on canvas. 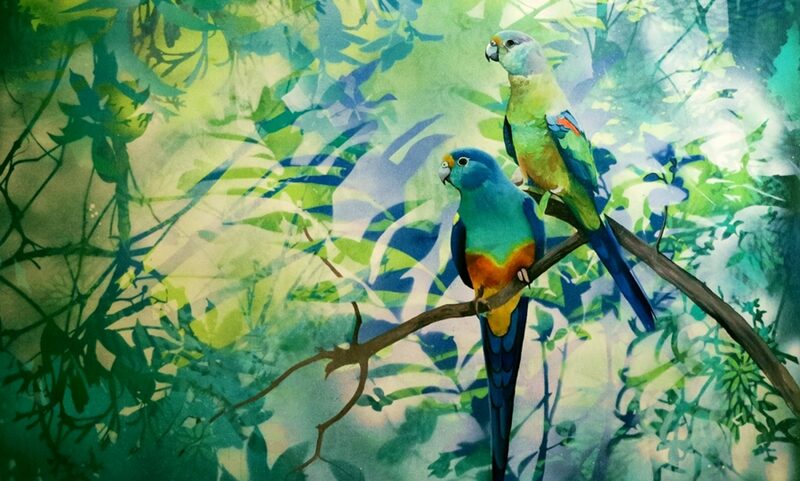 This painting is part of my series titled Looked for beyond Seeing: Portrait of a Rainforest Stream which I’ll be working on throughout this year to complete my Fine Arts degree. What really interests me here are the simultaneous impressions of the water’s surface, the reflection of the sky and the creek bed beneath. Some of my other work has taken a more abstract approach, but for this one I have kept it quite realistic, just strengthening the underlying abstract composition and the naturally occuring patterns.